If you are facing issues working with 4K files in PowerDirector, you may have interest in this post. Find an easy way to import and edit 4K videos in PowerDirector in a smooth workflow. Cyberlink PowerDirector is a powerful video editing software for Windows, it’s remarkably easy to use. You can edit the video on it, then upload mobile video for YouTube, Facebook to share with your friends and family. The best selling point of Cyberlink PowerDirector is total 360 degrees video editing, few video editing software can do this. However, many PD 13/14 users have encountered varies problems during the editing process. So, how to import 4K files to PowerDirector 13/14 for editing smoothly? Well, according to our multiple testing, we found two main basic reasons behind there. Nowadays, most 4K files are from 4K cameras like Canon EOS 1D C, Sony F5, F55, Sony FDR AX1, AX100, Sony A7s, Panasonic GH4 and more. The 4K cameras use XAVC, XAVC S or H.264 as the compression codec, which are ideal editing-friendly format for PowerDirector. What’s more, PowerDirector can handle (usually) 4K files without much problem, but it is extremely hardware intensive. To solve those problems, the quick workaround is to transcode 4K files to PowerDirector natively supported formats (MPEG-2 is highly recommended). Along with some help from Aiseesoft 4k Video Converter, it can be done effortlessly. 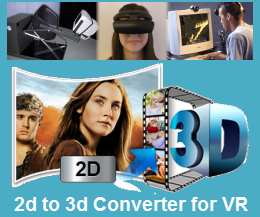 Overall, this program is a completely professional 4K HD video converter, player and editor. With it, you change effortlessly convert 4K footage like XAVC, XAVC S, MP4, etc. to different format like MPEG-2, WMV, MOV, etc. without quality loss. You should then be able to import the new file into PowerDirector with smooth editing without any trouble. It will ensure a perfect 4K file importing, playing and editing workflow with PowerDirector 13/14 as well as PD 10/11/12. The program can also transcode almost all video files for smoothly editing with Windows Movie Maker, Avid Media Composer, Adobe Premiere Pro, Sony Vegas, etc NLEs. What’s more, the built-in video editor allows you to trim, crop, rotate video, add watermarks, etc. to get the very part and effect you want. Download it now and follow the steps below to learn how to prepare 4K files for editing in PowerDirector 13/14. How to Import 4K video into Cyberlink PowerDirector? Run the program you just set up. Drag and drop the 4K video files to the converter. You can also hit Add files button to import videos to the app. If you wanna combine several videos into one file, you can click the “Merge into one” box. Click “Format” bar and choose HD MPEG2-PS HD Videos (*.mpg) or Adobe Premiere/Sony Vegas -> MPEG-2(*.mpg) as output format for editing raw 4K in PowerDirector with natively supported video codec. Click “Settings” button if you’d like to customize advanced audio and video parameters like Video Codec, aspect ratio, bit rate, frame rate, Audio codec, sample rate, audio channels. Note: If you want to get original 4K resolution, just keep the video size as original. Hit the convert button of the best 4K Video Converter. It will start converting 4K videos like 4K MP4, 4K MOV, 4K MXF, 4K MKV, 4K AVI, 4K WMV, HEVC/H.265 etc for importing to PowerDirector immediately. Soon after the conversion, just click “Open” button to get the generated files for natively editing in PowerDirector perfectly.